The original Technics SL-1200 turntable was one of the most widely sold and broadly influential turntable designs ever made. Introduced in 1972, the SL-1200 garnered sales of more than three million units by the time production ceased in 2010. And it had put the direct-drive principle on the map for good. It would be interesting to look at turntable design history in detail, to talk about how the idler-wheel principle of Garrard and others in the 1950s was almost instantly displaced by belt drive following the introduction of the AR turntable in the early 1960s, a ’table that set new standards of performance (and did so at a very low price), and then how the SL-1200 arrived to contest the supremacy of belt drive, though the dispute was indecisive. Interesting too is how the SL-1200 became symbolic of the conflict between spec-driven “right wing” audiophiles—the SL-1200 had excellent specifications—and “left wing” high-enders, who thought that belt drives sounded better. The proponents of the SL-1200 made grandiose claims even though the folks at Technics never considered the SL-1200 the best turntable they’d ever made. The high-end reviewers were determined to debunk these claims, whether or not they had any really solid evidence. One could write a book on all this, and a compelling book it would be. But truth to tell, the brand-new 2017 version of the SL-1200, designated the SL-1200G, is really an entirely different turntable from the previous SL-1200 models. And all the debate about these earlier models, though fascinating from a historical perspective, really has no bearing on the current version. The SL-1200G looks a lot like the historical SL-1200s. But this similarity in appearance is deceptive; as stated, the SL-1200G is another thing entirely. It is also a spectacularly good turntable, one that’s in the uppermost echelon of ’table design, and sells for a price that’s a small fraction of most of its high-end competition. History may repeat itself. 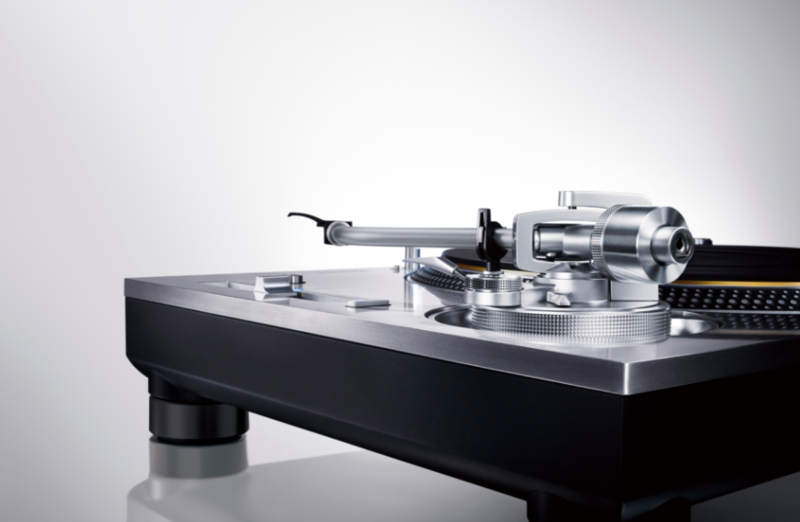 Yet the SL-1200G ought to become symbolic of the triumph of formal technical excellence, and it could be that the high end will resist recognizing this. But this time things may be different, because the SL-1200G in fact really deserves the highest respect for its sound quality as well as for its technical specifications. It really sounds good! Incidentally, it is interesting to note that the turntable involved in the long-ago Sheffield comparison to live mike was a Technics direct-drive ’table, as far as I can determine (because Doug Sax, alas, is no longer with us, I have only secondhand information, but I believe it’s correct). Also consider Harry Pearson’s remarks years ago on how hard it was to tell a 45rpm lacquer from the mastertape; again a Technics direct-drive turntable was in use. So the idea that Technics can make turntables—as they have done for a long time—that do well in such comparisons should not be a total surprise. And after all, it’s what turntables are designed to do—to make playback sound like the source. In any case, I hope I can convince you to consider the SL-1200G with the extreme seriousness it deserves. It is a masterpiece and an amazing bargain. Technics is not claiming it is perfect, and there are some after-market modifications—more on that later. But it is quite startlingly good as it stands, right up there with turntables costing orders of magnitude more. What a turntable needs to do to work correctly, to produce from a perfect record the sound of the source, be it tape or live mike feed, from which the record was made is fairly simple to describe, though it is not entirely easy to arrange. First of all, the turntable needs to rotate the record at a steady speed. And it needs to rotate it without vibrating it, so that the cartridge does not pick up noise from the turntable’s vibration. Then the mat and platter assembly need to soak up the vibrational energy that the stylus puts into the record as it plays. This latter might not seem to amount to much but actually it does amount to something. It is a classic demo from the past to listen to a silent groove with one stylus while another stylus is playing a music groove—the silent groove stylus picks up the music via the transmission through the vinyl of the energy produced by the stylus playing the music groove. Speed stability is something relatively easy to measure. In the case of the Technics, precision measurements by Paul Miller were published in HiFi News. The measured speed stability is top class—literally; Miller says that the speed behavior is as good as any he has ever measured. The same is true of the noise measurements. And both of these traits are borne out in listening: You will hear right away how quiet the Technics is and how stable its rotation is. More precisely you will hear the latter ideally with a record that is centered. It is interesting to read the “fine print,” as it were, of the interview in Issue 264 with Gunther Frohnhoefer, designer of the ne plus ultra Acoustic Signature Invictus, where he remarks that while he could have achieved greater speed stability with direct drive—at extra cost!—in practice the wow from the off-centeredness of almost every record dwarfs the speed precision of good turntables anyway. If you have a disc-centering Nakamichi turntable—I have two—you’d better stick with it. Interestingly, the Nakamichi TX-1000 from 1982 also has a manufacturer’s wow/flutter specification even better than the Technics. While wow from off-centeredness is definitely a problem, for me in particular there are positive effects of speed stability that are very evident even without disc-centering à la Nakamichi. I shall describe this in listening terms in a moment. Incidentally, the SL-1200G allows fine adjustment of torque and braking, but I recommend sticking with the automatic mode and the factory settings. The adjustments make subtle changes in the sound but the factory settings are best. Altering them slightly reduces one of the main pieces of sonic magic here: the remarkable resolution of subtle pitch variations in the music, which will be discussed later in this review.